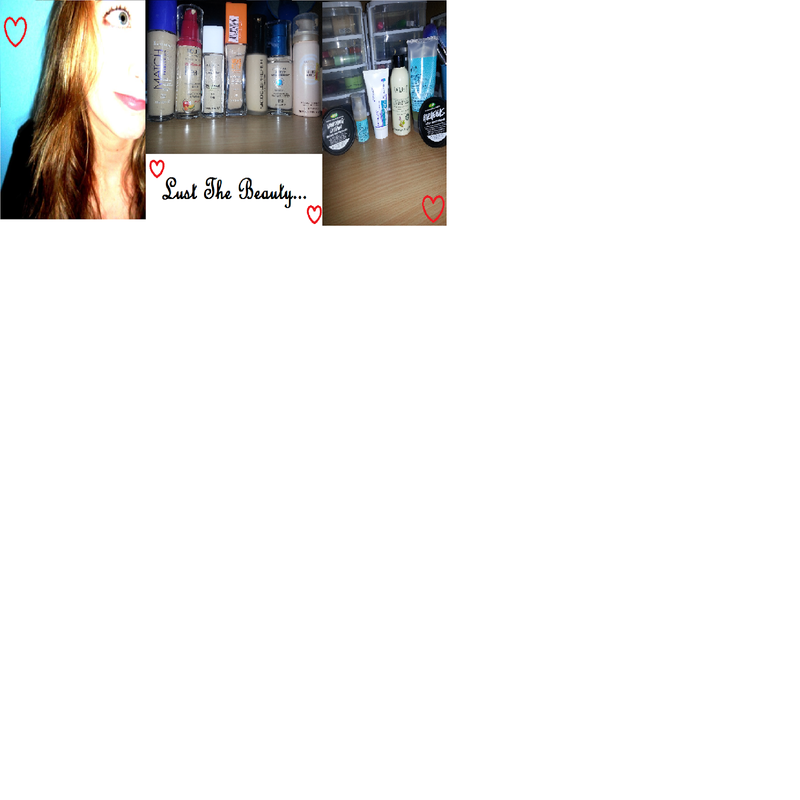 Lust The Beauty: What's in my Every Day Travel Makeup Bag? My handy toiletries bag was bought from Cotton On for $5, and looks like this. 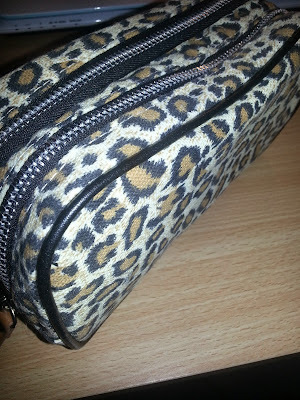 So it has two different compartments, which is great, because I love things to be organised! 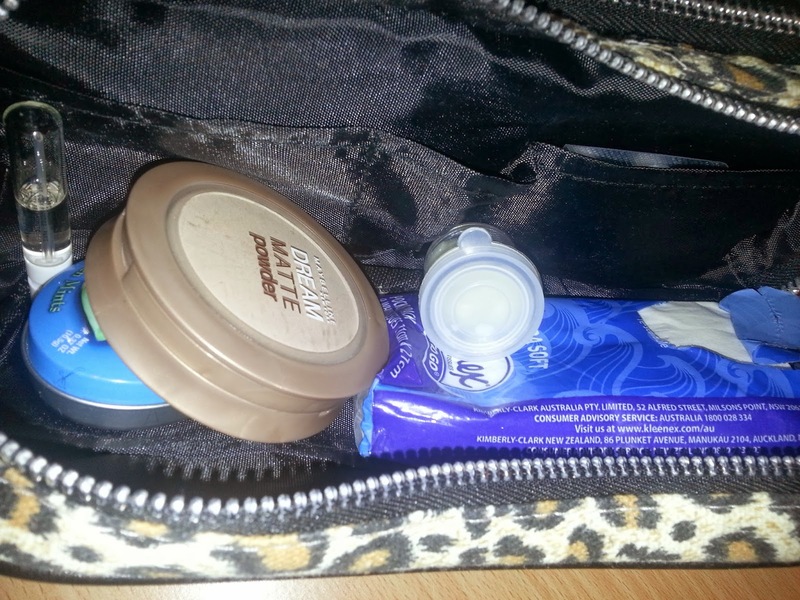 In the compartments are a few different pockets and a zip open pocket as well as small pockets perfectly sized for lip balms or glosses. In one of the pockets I keep a small packet of Kleenex Tissues, some mints, a tester sized perfume spray of Marc Jacobs Daisy, a small container with a bit of my Body Shop Hemp Hand Protector (the small tubs I just bought from a $2 dollar shop! ), some bobby pins, some panadol and that's it! In the other pocket I keep my lip things. 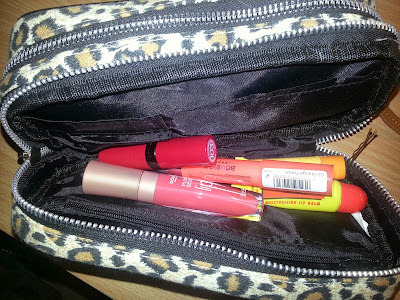 So I have one of my Bourjois Color Boost lipsticks (Peach On The Beach), a boring old Carmex, a Burt's Bees lip balm in Mango Butter, a Rimmel Kate Moss lipstick in 103, and a cheap plumping lipgloss from eBay called Uouo Plump Lip gloss. That is actually it for my travel bag, as in EVERYDAY travel bag. My overnight/holiday type of bag is totally different and so much bigger and scarier! Ahh! What do you take with you every day? Do you have a bag like me, or just chuck anything you need straight in you handbag? I love to know about everyone else's business just as much as you, so please link me or comment what your transport makeup/beauty items are like!